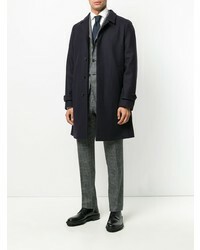 For elegant style with a modern finish, you can opt for a Hevo Classic Single Breasted Coat from farfetch.com and a grey suit. And if you wish to effortlesslly tone down your outfit with a pair of shoes, why not complete this outfit with a pair of grey athletic shoes? 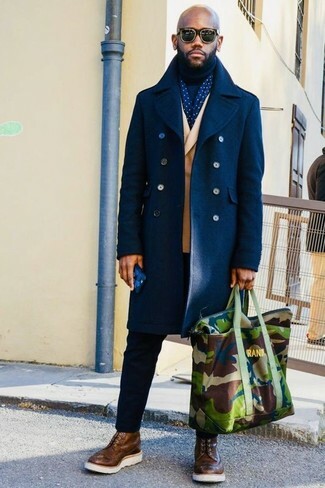 This casual combo of a Hevo navy overcoat and navy skinny jeans couldn't possibly come across as anything other than seriously sharp. 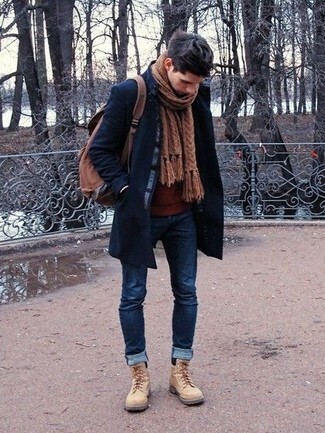 Beige suede casual boots pull the look together. 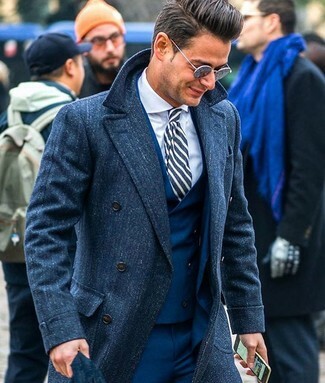 This is solid proof that a Hevo Classic Single Breasted Coat and navy dress pants look awesome when you pair them up in an elegant look for a modern dandy. If you're clueless about how to finish off, a pair of brown leather oxford shoes is a never-failing option. 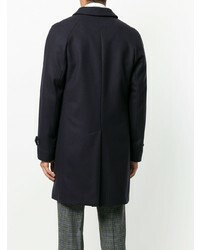 Combining a Hevo Classic Single Breasted Coat from farfetch.com and black chinos is a guaranteed way to inject your styling repertoire with some effortless refinement. 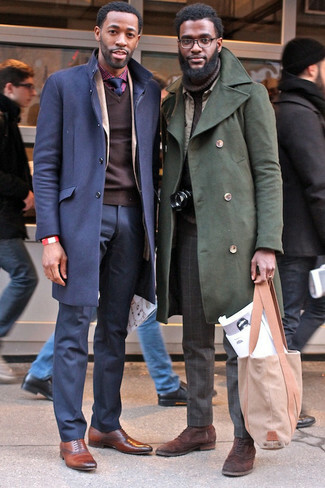 When it comes to footwear, introduce a pair of brown leather brogue boots to the equation. 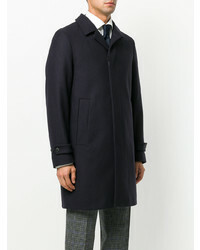 A navy overcoat and grey wool dress pants are among the foundations of any sophisticated menswear collection. 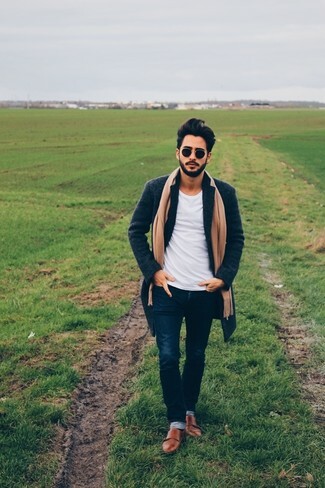 Tone down the classiness of your outfit by wearing brown leather casual boots. Dress to impress in a Hevo Classic Single Breasted Coat and a grey check suit. Burgundy leather oxford shoes are a wonderful option to finish this outfit. 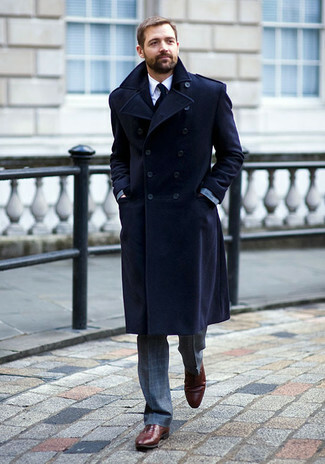 Dress in a Hevo navy overcoat and a navy three piece suit if you're going for a clean, trendy ensemble. So as you can see, it doesn't take that much time for a man to look effortlessly sleek. 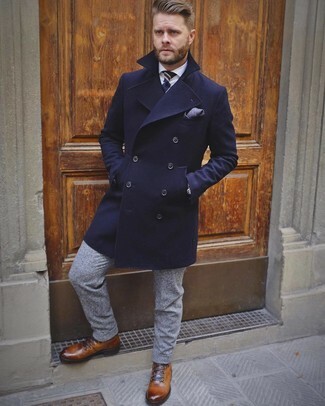 Make a Hevo navy overcoat and navy print chinos your outfit choice and be sure you'll look incredibly stylish. If you wish to instantly step up your outfit with a pair of shoes, complement this ensemble with grey leather oxford shoes. 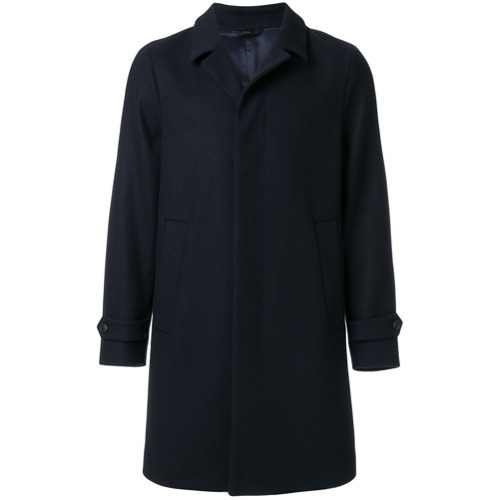 This pairing of a Hevo Classic Single Breasted Coat and navy skinny jeans is a nice menswear style for off duty. 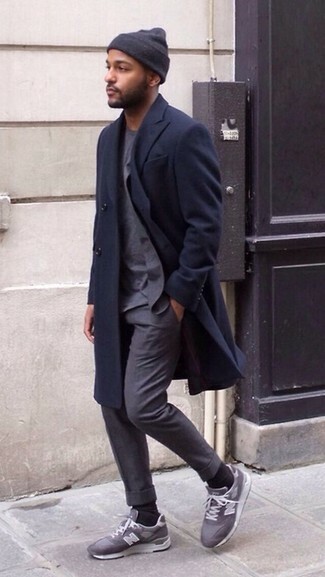 To give this ensemble a smarter aesthetic, why not finish with brown leather double monks?